The St. Joseph County Council for Prevention of Child Abuse and Neglect (SJC CA/N Council) will reduce child abuse and neglect by advocating for children in collaboration with the community and its families, the SJC CA/N will promote the prevention of child abuse and neglect through research, public awareness, education and program development. 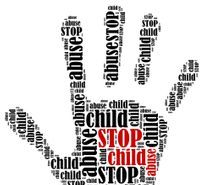 Our purpose is to educate the community with recognizing and understanding child abuse to promote appropriate and effective methods to aid in prevention of such abuse. We will place children’s wellbeing and safety at the center of our services. We improve the quality of services by targeting those who would most benefit from our programs. We will continue to strengthen communication and coordination of services within our nonprofit. We will coordinate our services with local agencies to minimize duplication of services already available to improve fiscal responsibility. We will continually research, explore, and develop new programs to instill positive parenting techniques and promote child abuse prevention across our county. Contact us to learn how you can become part of the fight against child abuse and neglect. councils, and public colleges and universities are covered. The Act does not apply to the judicial branch and it does not apply to legislators. Any program primarily funded by the state or local authority is also covered. Looking for more services in St. Joseph County? 211 is a 24 hour/7 day a week service allowing residents to call to find out how to give or receive help in the community. By calling 211 or using the online directory, individuals and families in need of help can be directed to agencies providing assistance to those in need. The SJC CA/N Council is now a GuideStar Silver Level Participant.